the bathroom was a basic bath with no extras. by doing most of the work ourselves. tired, aching muscles after a day of working in the garden. 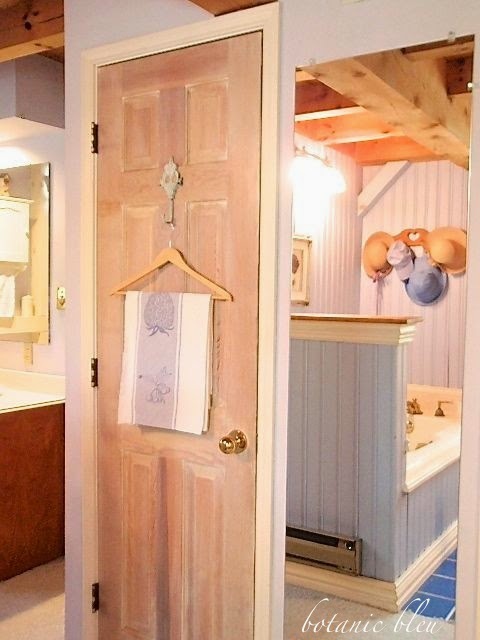 in a 3-D picture frame above the tub. 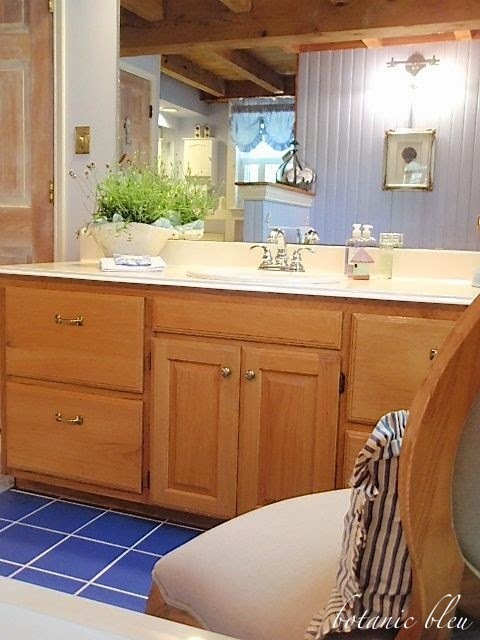 sits on the large vanity opposite the tub. of the post and beam house. that are separated by a full-length mirror. door to the bathroom from the master bedroom. white-washed using an oil-based interior paint. 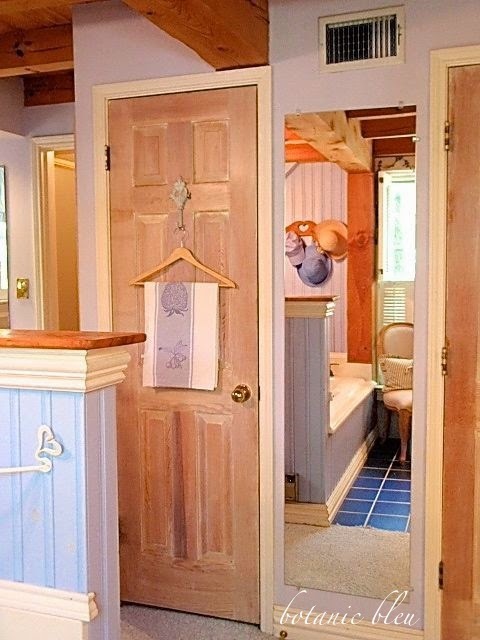 with just a peek into the shower-toilet room. if your slip is showing. 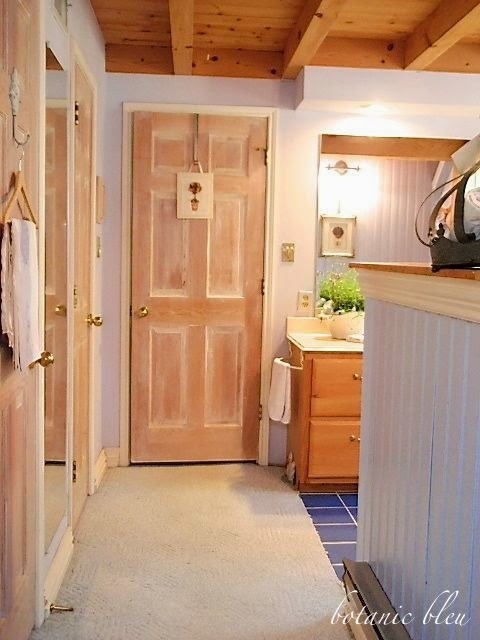 small vanity just visible to the left of the door above. 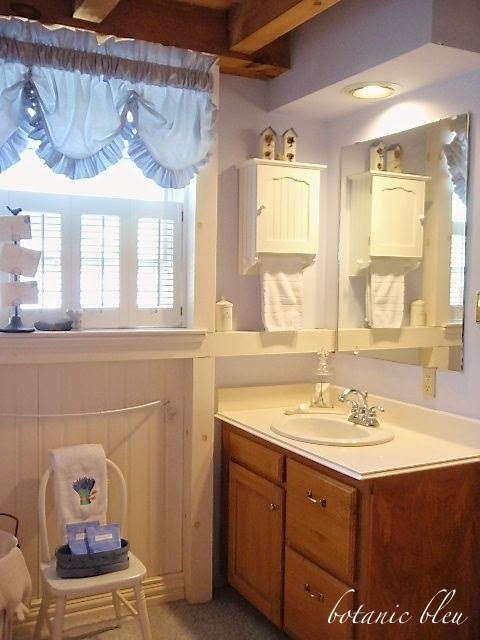 in this area of the bathroom. The northern facing window is small to help conserve energy. adds a layer of insulation to the northern wall. 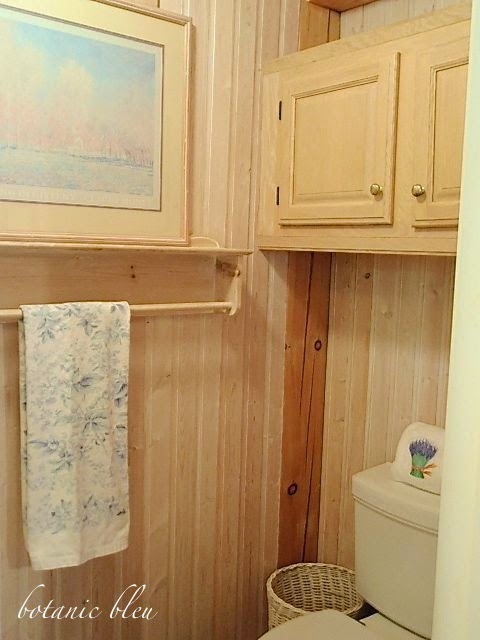 The shower is directly behind the vanity wall. installing small wall cabinets above the toilet. 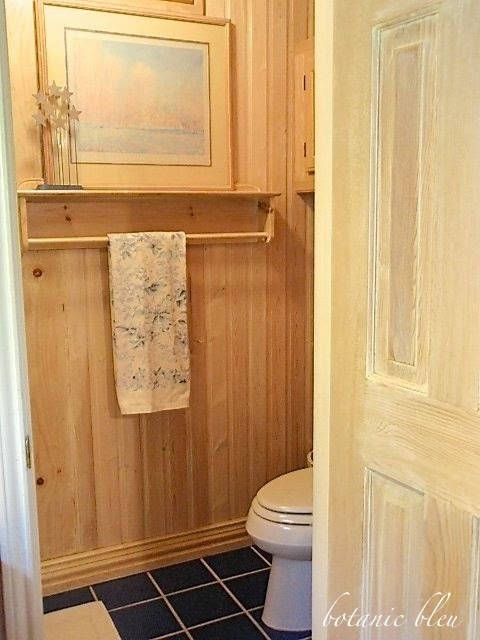 long enough for several towels. 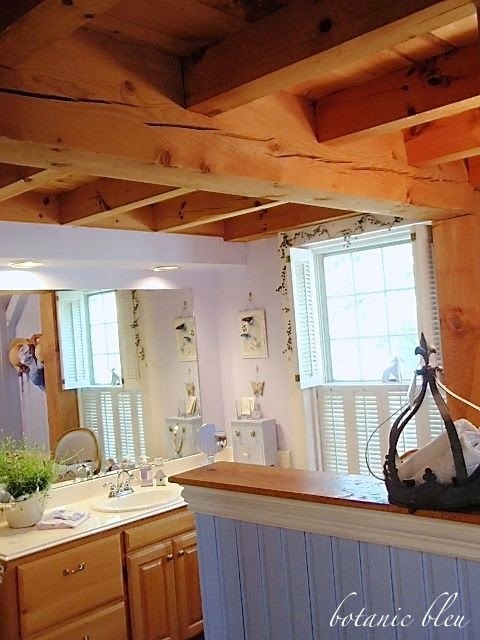 instead of being white-washed, to match the ceiling beams. large window to provide light throughout the room. Natural wood tends to make rooms dark. and overhead cam lights to add as much light as possible. as well as the light from the overhead cam lights. the amount of heat from light entering the room. since the window is west facing. The room is 14' long by 16' wide. two windows, and three large mirrors. 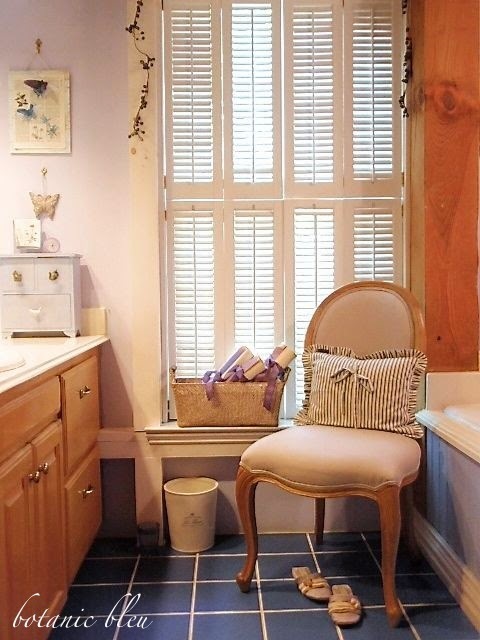 Lavender Infused Master Bath Decor. It's gorgeous, Judith! A lot of work, but such a wonderful place to soak all your cares away. About all I can say about our bathroom is that our plumbing is in a shared interior wet wall with the kitchen plumbing & the east window is high & small. We have just the basics in ~ no decorating has happened (yet)! We've had too, too many building projects demanding all our time and $$$. What a fabulous bath. It's obvious that you really put a lot of thought into the spaces of your home. Thanks for sharing. Love the lavender accent color and the pickled wood. 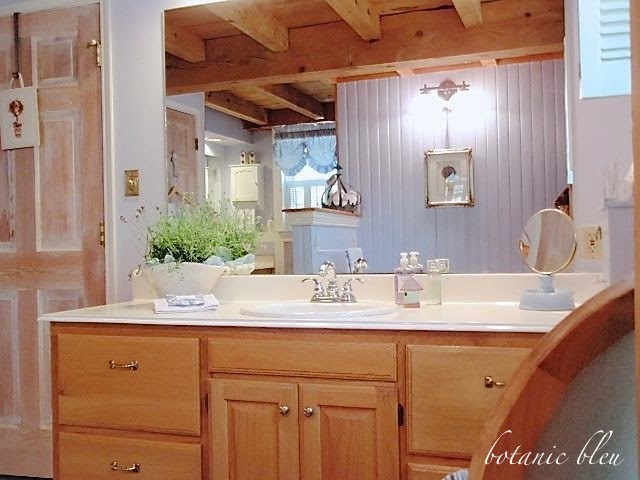 Love, love your bathroom! What beautiful colors! Very pretty! 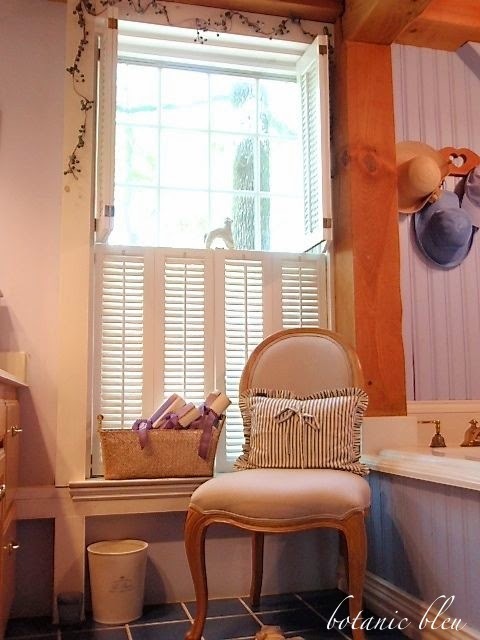 I am right at home in your lavender master bath. 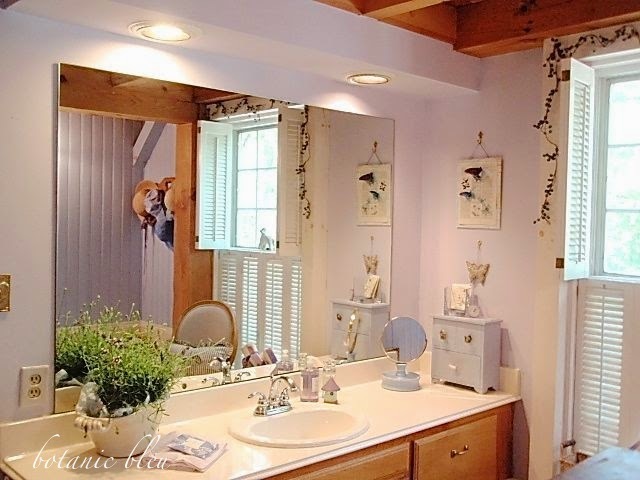 Our main bathroom is lavender on the walls and in so many other ways, no window to make it bright and cheery like yours though.